Once you set up Toon Boom Harmony and your system for the use of 3D, the next step would be to generate the 3D models you plan to import and use in your scene. You will need to use Autodesk Maya for this. 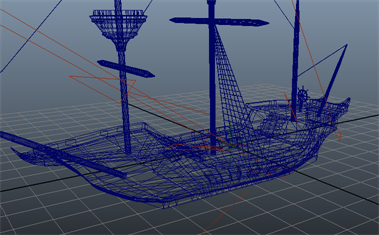 Although FBX models can be exported from any software and imported into Harmony, at the moment, only Maya is supported for full rendering with effects. 1. In Autodesk Maya, create your 3D object. You should also complete the texturing of your 3D object, as well as set up a few lights in your scene. When you render your scene later through Harmony, it will use this original Maya scene to render with the shaders, textures, and lighting of the scene. When you animate the object in Harmony, it will use this scene file and push the animation from Harmony into this scene. For this reason, you may want to parent the lights to the object, so the lighting you set up moves with the object when it is animated. If not, you may end up with a situation where the object is rotated out of the lighting, and you can see a very dark 3D object. 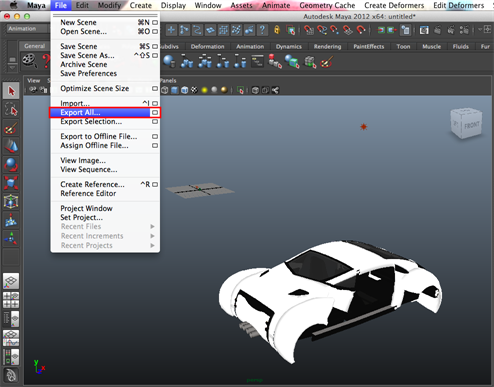 In Maya, you can parent one layer to another by middle-mouse clicking and dragging that layer. 2. Save your Maya binary file *.mb as you will use it later on. 3. Use the export command to export your model. Select File > Export All. The Export All dialog box opens. 4. 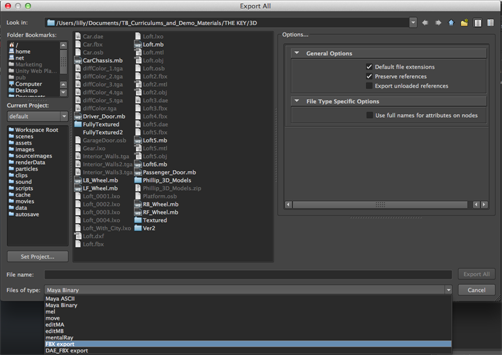 In the Files of Type drop-down menu, select FBX Export. 5. 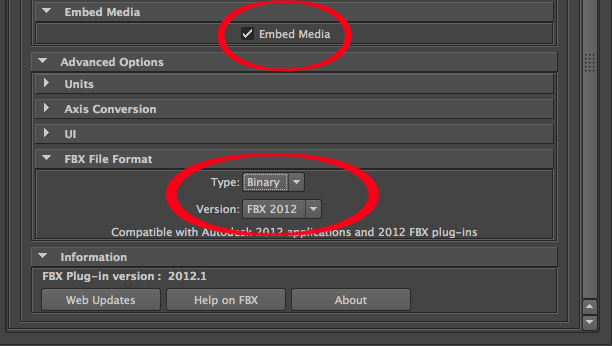 Select the Embed Media option to see the textures on the model when you import the FBX model into Harmony. 6. From the Type list, select Binary. 7. From the Version list, select FBX 2012. 8. When you complete the export, an*.fbx file will be created. Instructions may differ depending on the version of Autodesk Maya you are using. It is therefore important that you refer to their documentation for the correct instructions on how to create and export a 3D model.